After a string of unfortunate Hollywood films (Paycheck, Windtalkers, Mission Impossible II) slow-mo action master John Woo returns to his native China in the grand epic Red Cliff. Originally released in two parts in Asia, the four and a half hour total running time was butchered down to two and a half on general international release. Both editions have been released locally on DVD and Blu-ray, but it's the full full original cut that I will be reviewing here. The film is an exciting, thunderous and broad retelling of the titular Battle of Red Cliffs that occurred near the end of the Han Dynasty, circa 220 AD. Drawing upon the historical text Records of Three Kingdoms rather than the further interpretation offered in the Chinese classic novel Romance of the Three Kingdoms, Woo claims that it offers a more historically accurate treatment of the material than is custom. 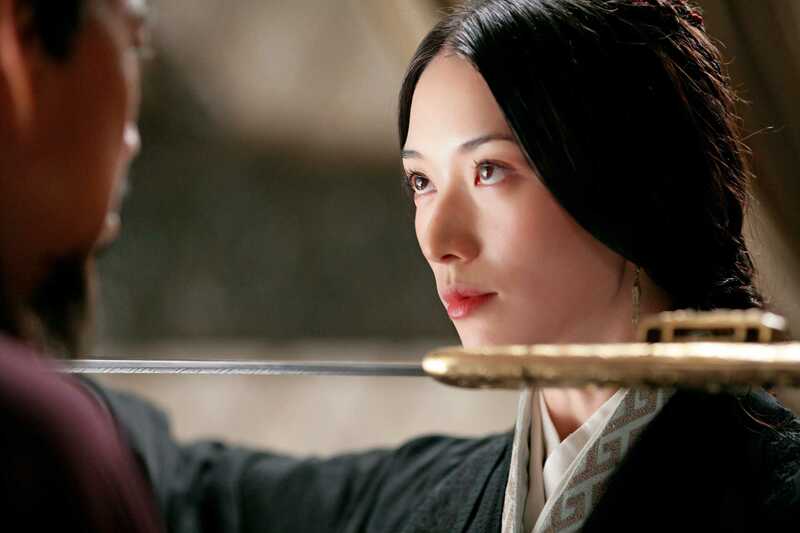 Not that fidelity or knowledge of Chinese history is necessary to enjoy a film that borrows more from David Lean and Akira Kurosawa than either historical fact or Zhang Yimou’s recent martial arts epics (Hero, House of Flying Daggers). The story goes like this: Imperial chancellor Cao Cao (Zhang Fengyi) is on a mission to destroy southern warlords Sun Quan (Chen Chang) and Liu Bei (Yong You). Zhuge Liang (Takeshi Kaneshiro), advisor to Bei, works to form an alliance between the southern leaders with hopes of defeating the numerically superior Cao Cao. On this mission we meet Quan’s viceroy, Zhou Yu (Tony Leung). An alliance forms, and the two sides clash in various amazingly staged battle sequences until laying camp opposite one another outside Red Cliff in preparation for the final showdown. The battle scenes themselves are vast and Kurosawa-esque. Avoiding CGI for the most part, what they lack in realism they compensate for with energy and spectacle. Woo’s specialty is still smaller scale combat (see his late 80s Hong Kong classics of balletic action), a trait evident when massive conflicts seem to hinge on the actions of one individual. In a particularly improbable sequence Cao Cao’s scout cavalry are encircled in a maze of enemy troops, only to be systematically split up and annihilated. Thousands of troops stand by and watch as our spear-wielding heroes annihilate dozens of enemies in increasingly inventive ways. Most of these characters are archetypes - the burly bearded warrior who seems to be China's Ajax, or the proto-feminist spy Sun Shangxiang (Wei Zhao). For complexity one has to instead look towards Fengyi's villain, who implies more moral uncertainty than the script offers. Still, the running time allows Woo digressions in developing the dozen or so main characters, which also include Yu's wife, Xiao Qiao (Chi-Ling Lin) and the commanders of Cao Cao’s navy. While I can’t imagine the shortened version being preferable (which I have not seen), half an hour could easily have been excised, zipping up the pacing without affecting audience comprehension. The special edition is a two disc release which presents each contained half on separate discs. The visual quality is astounding, and befits an epic of such visual beauty and scope. It’s the only release even worth considering, even though the HD and the largest flat screen could not do this film justice in the way of a cinema screen. Where the discs falter is in the special features, which are restricted to a 15 minute interview with John Woo and a bizarre collection of behind the scenes footage seemingly captured on an iPhone. While interestingly candid, music and narration begins and ends randomly and some of the clips are mere seconds long. It’s a peculiarly unpolished addition to an otherwise professionally presented release. 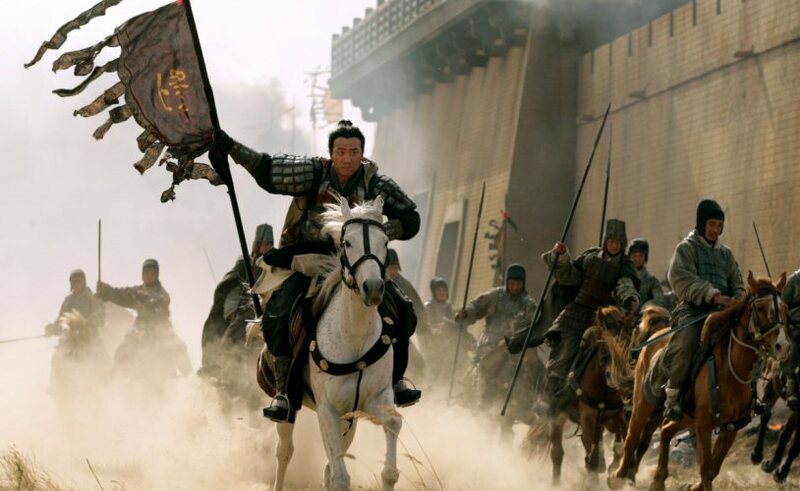 But no matter, fans of John Woo or action epics are in for a treat with Red Cliff. It’s sprawling and grand entertainment, a real and rare spectacle rarely seen in today’s movie-going landscape. 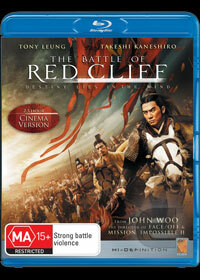 Red Cliff is the most expensive film ever financed in Asia with a budget of $80 million. How does Hollywood produce movies for double that amount that are so ugly and so empty? The argument that no one could make Lawrence of Arabia anymore because it would be too expensive doesn't make sense when studios are willing to spend $200 on utter trash like Tranformers 2 and yet could make a more beautiful and epic film with no CGI for half that. Maybe army extras are cheaper in the States.